This bus conversion/tiny home recently celebrated its 600th day of existence. What has changed since Day 1? I shrunk the bed to accommodate a 34-string harp (!!) hung an ocean scene curtain for privacy, and used wooden crates for below-loft storage. I moved my glass-topped desk forward and revamped my office files and equipment (including board games & climbing gear) beneath. Vintage suitcases house my shoes; a lady’s traincase holds my [quite literal] mini-bar. Guest accommodations = Mountain hardware tent, REI air mattress, sleeping pads & sleeping bag, extra IKEA bedding, all tucked beneath the loft. A dozen plants line the front and side windows. Effective tiny home living involves being exceptionally mindful of your household systems: in other words, how you will source your energy and water, and make the most effective use of every centimeter. Oftentimes this involves researching the best thingymajig for the job. The Champion now has a full range of kitchen appliances (mini-fridge, toaster oven, induction burner, hot water kettle, blender, food processor, rice cooker, ice maker, crockpot and Biolite cooker), all tucked into designated slots and destined for solar power. Eventually a sink and portable dishwasher will join the ranks. Yeti coolers serve as temperature-stable pantries and extra seating. Bose runs my music, wifi is supplied by a Verizon jet pack; my lighting collection has grown to 30+ gizmos (including candle back-ups). My yoga/exercise mat is accompanied by 5, 10 & 15-lb weights and barbells. On sunny days I slide open the windows, and the crystal sculptures cast micro-rainbows everywhere. A Vornado fan and LG air conditioner make California summers bearable. When it rains or gets too cold (29F last night! ), we run a tiny rotating Honeywell heater and the bus turns into a greenhouse. Every item incorporated into this home has been oh-so-carefully budgeted and vetted for quality, longevity, multi-functionality, size, and aesthetics (even my kettle glows blue when heating up water). My modus operandi maps perfectly onto author Marie Kondo’s “spark joy” concept of decluttering and re-organizing one’s home. Because no matter what, every day I wake up in here, I wake up happy. …and this is the Russian River, the river in my backyard. The river I bicycle along on my way into town, the river Lusa runs beside, the river we watch as the rains return. Although the Pacific ocean maintains a tight grip on my soul, it is the oak woodlands – homesteads of my Favorite Feathered Ones, the acorn woodpeckers – where I choose to live. After joining Thousand Trails national campground consortium at the “Platinum/Elite” level, our Champion Challenger now has a choice of parking spaces in gorgeous locales…hundreds of choices, actually. For six months, I was able to claim A New Definition of Homeland Security: a coveted space in a highly unusual tiny home community south of Cloverdale (a small town in Sonoma County close to the border of Mendocino County). It’s the Champion’s One Year Anniversary! The kinks have been worked out of the kitchenette; the privy is fully functional, waterless and odorless. The interior sports 22 different lights – filaments, lanterns, multi-colored strings, spots, dimmers, glow-in-the-dark; everything rechargeable except for one low wattage plug-in. The decor bursts with artistry: treasures from around-the-world international consultancies next to exquisite handiwork from Native colleagues and local artists. Each carefully curated piece has a story, a memory, a meaning. The plants are doing splendidly, and the collection continues to grow: Asplendium fern, Phoenix and Areca palms, Ficus bonsai. All the comforts, in an 8 x 16 foot space: blue-tooth stereo, mini-bar, full closet and desk space, reading chair, lounging bed. Creating a home is an ever-evolving process! This phase = focusing on living safely, eco-friendly, and in beauty. On the safety front: most driving wear on a bus occurs on the front wheels, especially when turning. I installed brand-new Michelin tires, guaranteed for 70,000 miles. For home and vehicle insurance, after calling around to a host of major and minor carriers (and being summarily denied ‘cuz bus conversions aren’t on their radar yet), I found a company that will happily deal with my tiny home. Thank you Progressive! 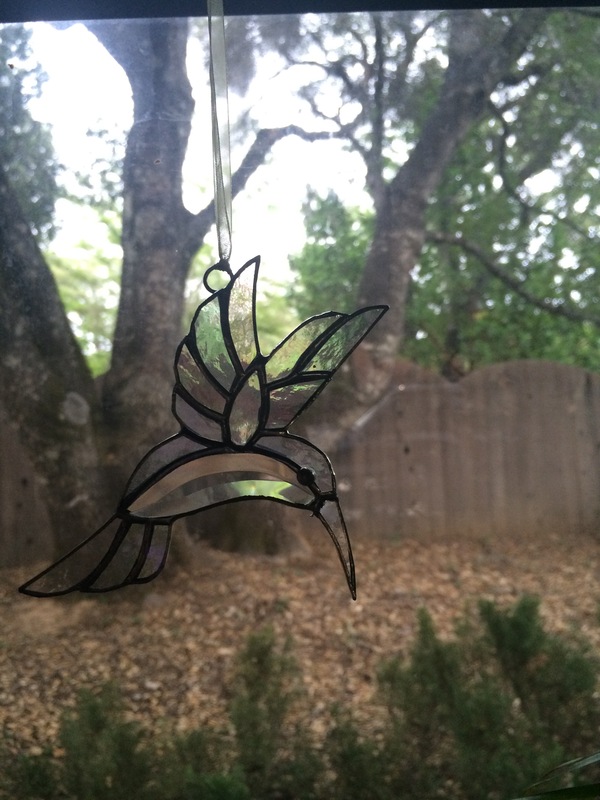 Finding beauty: I’m paying attention to the little things: a glass hummingbird hanging from the window, a tiny succulent garden in a basket up front, a basket of citrus for guests, a tin fish-mobile swaying in the breeze. Eco-friendly energy: all my lighting is LED-battery powered (and quite sophisticated – check out the decadent selection at Friedman’s Hardware!) with dimmer switches, swivel, and track lighting. 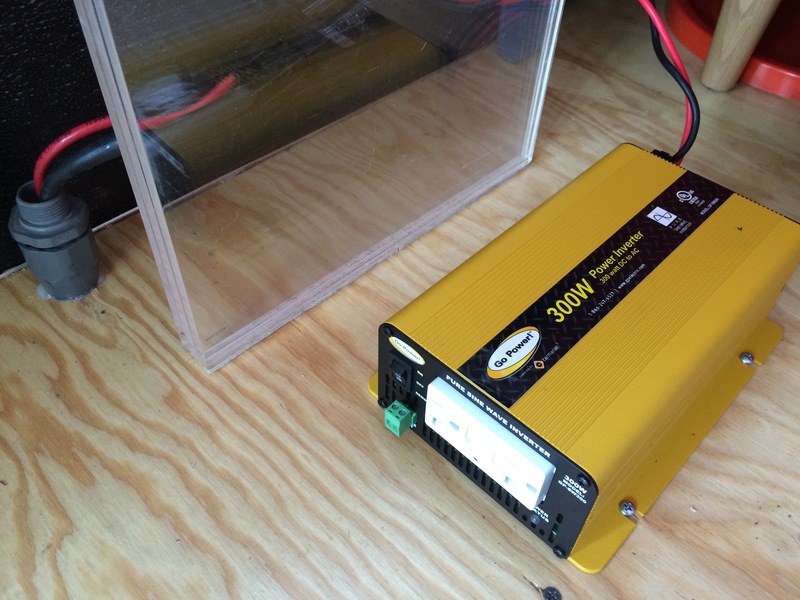 For the rest of my electricity needs I have AC power through the cigarette lighter and DC power through a mobile electricity system hooked up to a house battery. I chose to live with 300 watts for now: plenty for office (computer + iPhone + printer) or kitchen (crock-pot + mini-blender) or entertainment (iPad + external screen) needs. One week after buying the bus, it’s habitable. Work space, sleep space, storage space, hang-out space. Everything bungie-corded to I-bolts screwed into existing tracks along the wall. Still need to tweak the bathroom a bit (very rustic at present!) and build a kitchen unit. Wrap-around windows create so much light! The IKEA-themed decor adds vibrancy; the plants keep it lively. Artwork hanging all around remind me of what’s important. A hyper-organized container system helps me access everything easily. So far I’ve hosted a deputy sheriff, a California State Commissioner, San José State University students, and a curious Home Depot employee. (1.) A bus has a waterproof floor, roof, four walls, and plenty of doors and windows. (2.) Heating, A/C, lighting, and charging systems are built-in. Before I drove my Champion four hundred miles from Los Angeles to Davis, the bus service center removed all the seats, wheelchair lifts, and poles, leaving a large empty space. The last two days have been a whirlwind of planning and purchasing materials to install a floor, closet, and bathroom with the help of my girlfriend Virginia (a contractor in her former life and a brilliant innovator). My tiny home will be around 140 square feet. To create an off-grid househoId, I’ve spent countless hours designing the layout: researching solar power units, a composting toilet, and how to store and heat water economically. Yet everything I’m trying out is new to me: already I’ve readjusted the details a gazillion times. This is one, huge, mo-fo life experiment. To raise money for my new home, I pulled from every resource I had: bank savings, pension funds, credit cards, short-term loans, odd jobs and change I’d socked away in a tin. After scraping the barrel to buy the bus outright (no mortgage!! ), all my future renovations must be financed in stages. I’ve budgeted the “baseline,” “pleaser,” and “deluxe” versions for every component. In other words, I start out with the <$50 version of something (a one-burner camp stove, a bucket-with-hose-pump shower, etc. ), until I can afford the $150-$300 version (a two-burner propane stove; an in-line water heater). Eventually I might install a high-end version that costs a lot more. In the meantime, I’m learning how to scale down and scale up. Guess what I’ve figured out in the process? Creating this tiny home, pulling it together with ingenuity and patience, is giving me more satisfaction than buying a shiny model straight off the lot. Being in charge of the renovation allows me to choose higher-quality, environmentally- and people-friendly materials and learn how to make repairs. And I’ve got a week to make it happen. 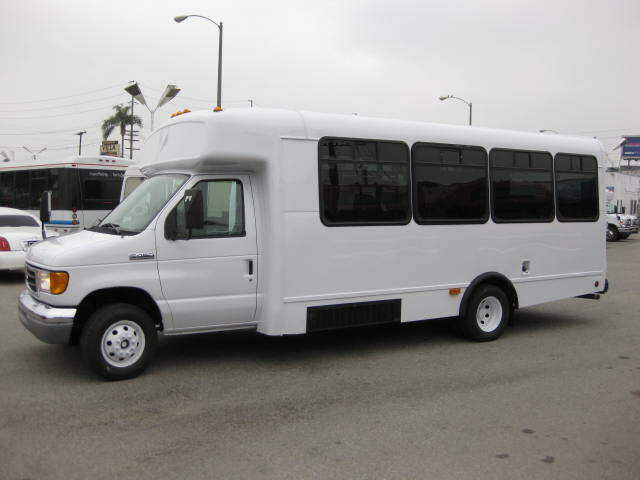 Enter a 2007 Champion Challenger 250 shuttle bus with a Ford 450 V10 gas engine. Countdown! I have 25 days to finagle financing, pull the seats out, ensure the vehicle is operational and insured, drive it from SoCal to NoCal, install flooring, move all my current housewares in, and secure the furnishings so they don’t rattle around. Oh, hmmm, I’ll need a place to park it, too. By now I’ve been renting from a succession of autocratic landlords. Most are willing to apply the Golden Rule…partially. Inconsistently. Or only if it doesn’t inconvenience them. One place catches on fire, the other lacks water. I go through waves of claustrophobia, house-envy, despair. Finally, the last straw hits my Dromedary hump and I say, no flippin’ more. I give my 30-days notice, with no idea of where next. But I’ve been researching tiny homes for several years, salivating over charming, DIY tailor-made homesteads with teeny carbon and/or ecological footprints. Most people who are ready for tiny homes can’t afford the down payment, and it’s hard-to-impossible to find a bank to finance a tiny home for folks in the lower income brackets or with sucky credit scores. I ran up against this wall, too. Until I discovered I could draw on a portion of my pension funds, and there was a used bus salesman willing to work with me. 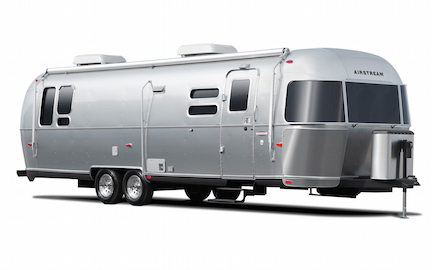 Once upon a time I bought a brand-new Airstream International and set it up in Davis Mobile Estates, on the other side of the train tracks. Such a beauty! Sleek lines. Gleaming, streamlined interior, sophisticated mood lighting, high-tech gadgetry. Miniaturized versions of everything, matched to designer cubbyholes. Then I got a new job as a research director at an international conservation organization. Moved back East. Married a terrific guy, our wedding a surprise event in the office dining room. Tried hard to make the “dream job” and new partnership work. Couldn’t. Resigned when the Institute’s business practices didn’t jive with my ethics. Moved back to California. Widowed. Moved again. Seven years later I’d spent a grand total of five months living in the Airstream, which largely remained in storage. The value depreciated precipitously and my mortgage went underwater, the payments too high to afford on a part-time university lecturer’s salary. Yay! My driveway, curb, and kitchen and bathroom and hammock room are always available to you! This is an impressive text and the news behind it! … I like the cool style of its literature and the ecological, the closeness to the nature that comes with it. Looks cozy. Was it cheaper than buying a used RV which already has all the kitchen, plumbing etc ? With a used RV, we always run the risk of poor workmanship: particleboard that deteriorates and off-gasses, corroded plumbing, inexpertly installed wiring. Plus I find the typical RV layout boxy and uninspiring – not enough windows, with cramped and insufficient storage space (an issue even with my former Airstream). 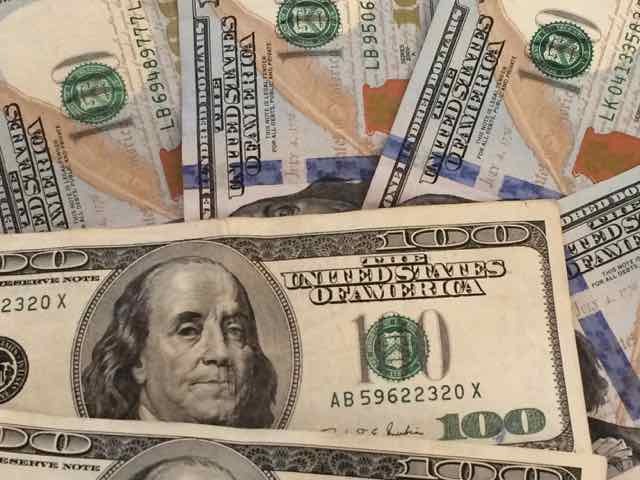 My calculations went far beyond typical monetary assessments – what may appear “cheap” at first can turn out to be very costly in the long term. After tons of research, I purchased a solid, well made vehicle with a super-powerful engine, and built my own systems, choosing higher quality materials and installing everything myself so I would know how to fix/alter/augment things when necessary. Your comment came in the middle of devastating Sonoma/Mendocino/Napa county fires – which brings up another crucial reason for downsizing & living in a converted bus: we can evacuate much more easily and rapidly. In less than 5 minutes – the time many people in the region had to escape the fires – we can clear out with all our people, pets, and valuables. Nothing lost. I hope you were able to return to your spot there in the woods after the fires. Love following you online and seeing the conversion! We have similar backgrounds and vehicles. I salute you. Very astute choices for a life well lived.